Surprisingly Google released new Android Device Manager service now about which they made announcement just couple of days ago to roll it out nearly to August's last week. Android device manager is mobile and web application to help you to locate your lost or stolen devices. In main features you can make ring to your android phone at its maximum sound volume even it was on silent mode. Can locate the location of lost android phone in real time and can erase device data remotely in order to keep it safe to avoid misuse. your phone have Android 2.2 or later versions. you have checked Android Device Manager via < device administrators < Security < Settings. Allow ADM to use device location data. Literally speaking currently this thingy is not working perfect for me and, seems not to be able to locate my device (might be yet not rolled out across the world). 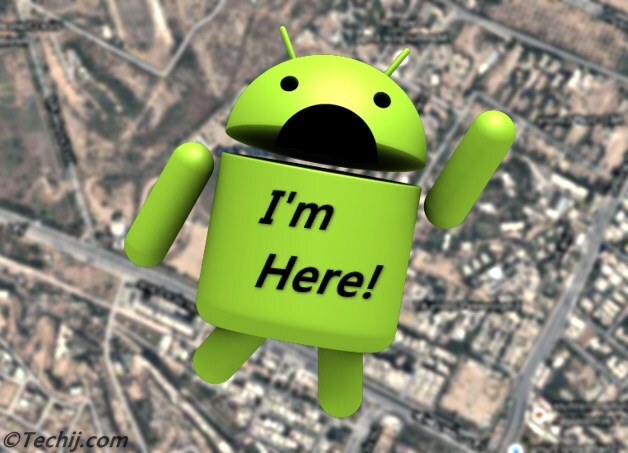 I will surely publish a complete How-to tut (How I Locate My Android Phone on Map) on it as I will get success. For updates follow techij via email. Thank you!